Tadd & Becki have a burning desire to do whatever it takes to reach people that are far from God and to see them grow in their faith. Pastor Tadd grew up in Lynchburg, VA where he and Becki graduated from Liberty University. Tadd and Becki began dating in 1999 and were married in 2005. God has truly blessed their ministry and He continues to do amazing things through Hope Church. Tadd & Becki, their sons Brogan and Keaton, and daughters Maisy and Lula are proud to call Burlington, North Carolina their home for the past 13 years. 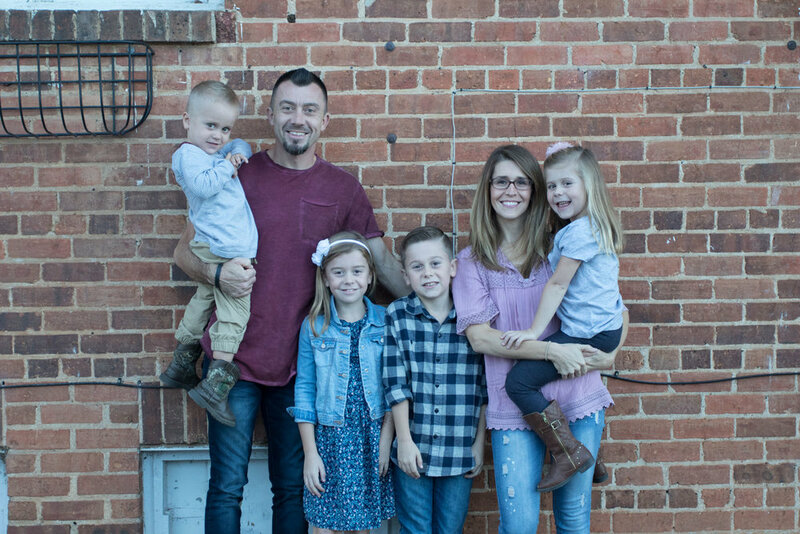 Pastor Tadd and his wife Becki moved to Alamance County from Atlanta, GA in 2006 with a vision believing that God would turn this county upside down for His glory through the local church. Pastor Tadd is the founding and Lead Pastor of Pine Ridge Church. In September of 2007, they launched Pine Ridge Church in Smith Elementary School with 287 people in attendance and God began writing His story for this community. In October 2013, God began writing a new chapter in the churches journey. Through God's prompting, Pastor Tadd's leadership, and an incredible staff & team... Pine Ridge Church merged with an existing church in Burlington [Brookwood Church]. After much prayer and following God's clear leading, Hope Church was officially born. Over the past 5 years, Hope Church has seen an explosion of growth as they have relentlessly pursued the vision of doing whatever it takes to reach people who are far from God.